Perimeter and sediment controls are standard practices in use on nearly all construction sites where clearing, grading, excavation, or fill activities occur. They are part of a system of BMPs (Best Management Practices) designed to prevent erosion and control sediment transport to offsite areas. Stormwater Pollution Prevention Plans require contractors to identify the locations and the types of controls that they are using. The selection, installation, operation, and maintenance of a particular control or group of controls is based on slopes, soils, site size, and proximity of water bodies. However it is important to note that preventing soil loss and erosion altogether is typically the less expensive method to implement. This is because erosion control focuses on stabilization methods that limit the size of a disturbed area and the length of time it will be exposed to the elements. Erosion control blankets hold the soil in place and allow vegetation to grow while providing a natural soil cover. Please contact us at 607-971-8810. We welcome the opportunity to answer your questions and to help you select the most cost effective materials for your next project. Steep slopes and hills pose a challenge to controlling erosion. Erosion control blankets protect the soil by providing a temporary cover, giving the natural vegetation a chance to establish. Sediment control devices such as straw or excelsior wattles can be used in conjunction with erosion control blankets. Placing them at the face of the slope reduces the flow velocity of the stormwater and remove sediment from the runoff. Erosion control blankets protect topsoil from wind and water erosion while promoting ideal growing conditions for grass seed in fairways and around the greens. Golf courses must also develop Best Management Practices to protect sensitive environmental areas and adjacent bodies of water from contaminated runoff. 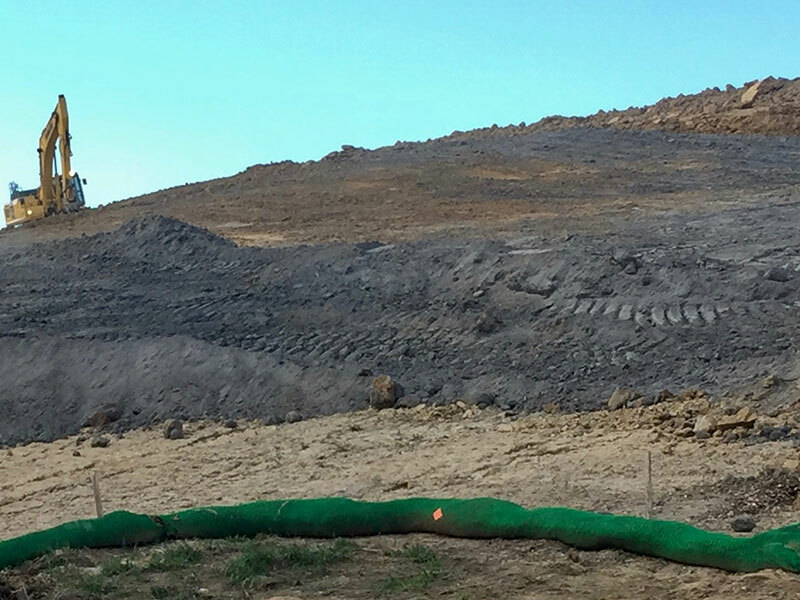 Erosion control blankets protect against soil loss while aiding the establishment of vegetation on landfill caps, side slopes, down chutes, and perimeter waterways. The benefits are not only aesthetic, but regulatory compliance and BMP’s (Best Management Practices) for on-site water management. The challenge in development is to control runoff and sheet flow from both parking lots and paved areas. Erosion control blankets keep soil in place and protect grass seed while an area is revegetated. The use of sediment control devices, such as inlet filters, silt fences and wattles meet NPDES Phase I & II soil retention regulations. State and Federal highway regulations require the use of BMP’s such as erosion control blankets, silt fences, and wattles in ditch bottoms, medians, and side slopes. Deploying a turbidity barrier in conjunction with one of the above sediment control devices stops sediment and other debris from entering retention ponds, lakes and adjacent waterways. Perimeter sediment control best management practices are a requirement on all construction sites that involve disturbing the surface soils. These controls are temporary sediment barriers that redirect sheet flow runoff and remove sediments suspended in the sheet flow. As the sediment is removed, the water is allowed to pass through and continue off site. 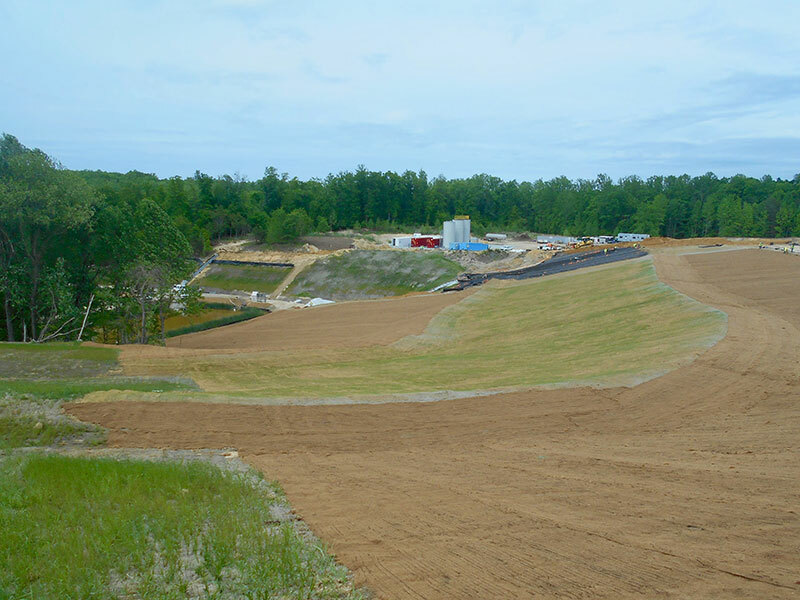 IWT Cargo-Guard was able help the APTIM project team establish their cost effective perimeter and sediment control program at the Brandywine DRMO Superfund Site in Brandywine, Maryland. As the general contractor on a superfund site, APTIM was required to be in compliance with all National Pollutant Discharge Elimination System (NPDES) regulations at all times. Upon mobilization APTIM installed inlet filter bags and compost filter sock according to the project design. Filtrexx Siltsoxx and Diamond Sock are two high quality brands IWT offers. Perimeter sediment control best management practices are a requirement on all construction sites that involve disturbing the surface soils across the country. These controls are temporary sediment barriers that redirect sheet flow runoff and remove sediments suspended in the sheet flow. As the sediment is removed, the water is allowed to pass through and continue off site. IWT Cargo-Guard was able help the APTIM project team establish their cost effective perimeter and sediment control program at the Brandywine DRMO Superfund Site in Brandywine, Maryland. Once in the field, the inlet filter bags and compost sock were able to physically filter sediment from the runoff during precipitation events. The perimeter sediment controls remained in place, removing and eliminating sediment from surface water migrating off site for the duration of the project scope. Further into the project as the site restoration phase began, IWT Cargo-Guard delivered numerous truckloads of double net coconut erosion control blankets​ (ECB) to help control erosion on slopes and channels, stabilizing soils long enough for revegetation seeding to establish on the site. IWT Cargo-Guard works with some of the best manufacturers including L & M Supply, American Excelsior Company and Rolanka. The ECB’s along with the perimeter sediment controls helped APTIM stay in NPDES compliance throughout the project. The perimeter and sediment control BMP requirements are different from project to project. We are more than happy to help supply any perimeter and sediment controls you need. Contact IWT today at 609-971-8810 to discuss your next project.